Redondo Beach, California is one of Southern California’s seaside jewels, occupying the coastline of a white sand beach and 27 mile-long strand running along the ocean. A low-key residential and business community, Redondo Beach is also a vibrant visitor destination with some of California’s most appealing attractions, events, and activities. A low-key residential and business community, Redondo Beach is also a vibrant visitor destination with some of California’s most appealing attractions, events, and activities. 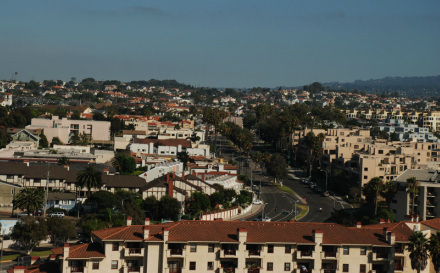 Its land area is 6.3 miles, and it is a full-service city with its own police, fire and public works departments, two public libraries, a performing arts center, fifteen parks, thirteen parkettes, a large recreational and commercial harbor including King Harbor, a 1,500-slip private craft port; the Redondo Beach Pier and Seaside Lagoon; and a bathing and surfing beach. Located in the coastal perimeter of Los Angeles County, just twenty miles from downtown Los Angeles and seven miles south of Los Angeles International Airport, Redondo Beach has been a preferred resort destination for more than a century and one of the most desirable areas to live in the country.